TGIF is back. Sort of. TVLine reports Family Matters star Reginald VelJohnson will make a guest appearance on an upcoming episode of Disney’s Girl Meets World. Both Family Matters and Girl Meets World‘s predecessor, Boy Meets World, were part of the ’90s ABC sitcom block. In the season three episode, VelJohnson will play a cop, not unlike his Family Matters character Carl Winslow. Season three of Girl Meets World will premiere this spring. What do you think? Did you watch Family Matters? Do you watch Girl Meets World? Do you miss TGIF? 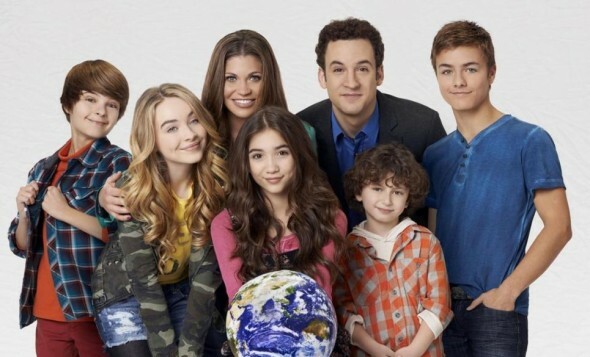 More about: Disney Channel TV shows: canceled or renewed?, Family Matters, Family Matters: canceled or renewed?, Girl Meets World, Girl Meets World: canceled or renewed?